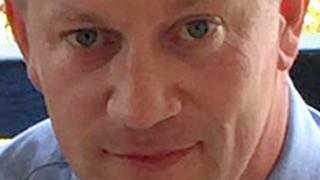 The police officer murdered in March's Westminster attack has been awarded a posthumous bravery medal by the Queen. PC Keith Palmer's George Medal recognises actions that "saved lives". Gallantry awards also go to pensioner Bernard Kenny, who went to the aid of murdered MP Jo Cox, and to two men who helped after the Tunisia beach attack. The announcements coincide with the Queen's Birthday Honours list, in which comedian Billy Connolly is knighted and actress Julie Walters becomes a dame. Glaswegian Sir Billy, 74, who was made a CBE in 2003, said he was "pleased and a little embarrassed" to become a knight for services to entertainment and charity. TV star June Whitfield, mezzo soprano Sarah Connolly and 100-year-old Gone with the Wind actress Olivia de Havilland also join Dame Julie as new dames. Meanwhile, author JK Rowling, musician Sir Paul McCartney, television cook Delia Smith and designer Sir Terence Conran are among nine new members of the prestigious Order of the Companion of Honour. Harry Potter creator Rowling, who is being recognised for her work in literature and philanthropy, said she was "proud" to be part of the "distinguished and diversely talented" order of 65 members. His award on the Civilian Gallantry List is for "confronting an armed terrorist to protect others and Parliament". The citation says: "His actions provided time for other officers to react and shoot and stop the assailant. "PC Palmer's bravery and professionalism unquestionably saved lives. PC Palmer did his duty. "In doing so he made the ultimate sacrifice." As well as the George Medal for Mr Kenny, 78, three other people are being given honours following the murder of Jo Cox outside her constituency surgery in Birstall, West Yorkshire, in June 2016. PC Craig Nicholls and PC Jonathan Wright, who arrested the killer, Thomas Mair, are awarded the Queen's Gallantry Medal, while Sandra Major, a constituency worker who witnessed Ms Cox being shot, becomes an MBE on the honours list for parliamentary services and service to the community. Tourists Allen Pembroke and Paul Short both receive the Queen's Commendation for Bravery for helping the wounded after a gunman opened fire on a beach in Sousse, Tunisia in 2015, killing 38 holidaymakers, 30 of them British. The honours list is being hailed as the most diverse ever. Of the 1,109 recipients, half are female, 6.5% have a disability, three-quarters undertake work in their communities, and 10% are from a Black, Asian and Minority Ethnic (BAME) background. Among them are musician Chi-chi Nwanoku, who set up a foundation to help provide career opportunities for young BAME classical musicians (OBE), and Nitin Palan, who co-founded the annual Diwali On Trafalgar Square event, who is made an MBE for services to interfaith relations. Former SAS soldier and best-selling novelist Andy McNab becomes a CBE for his work promoting adult literacy. The Bravo Two Zero author is a literacy ambassador for the Reading Agency and has written several of the charity's Quick Read titles for young adults. Other CBEs include writer and illustrator Raymond Briggs, singer Sade and veteran Archers actress June Spencer. From the entertainment world, there are also OBEs for comedian David Walliams, and actresses Sarah Lancashire and Patricia Hodge, while composer and conductor George Benjamin is knighted. Broadcaster Gloria Hunniford, who lost her daughter Caron Keating to cancer, is made an OBE for services to cancer charities. Another broadcaster, Natasha Kaplinsky, becomes an OBE for services to Holocaust commemoration. Kaplinsky, who lost relatives in the Slonim ghetto in present-day Belarus, has interviewed survivors as a member of the United Kingdom Holocaust Memorial Foundation advisory board. Pop stars Ed Sheeran and Emeli Sande and 1960s singer Sandie Shaw are among the new MBEs. From sport there are OBEs for Olympic rower Heather Stanning and Ireland rugby captain Rory Best. Judy Murray is made an OBE for services to tennis. Perhaps best known as the mother of players Andy and Jamie, she has worked to grow the sport among women and girls and is a former Great Britain Federation Cup captain. Northern Ireland and Southampton football captain Steven Davis, rugby league coach Brian Noble, and boxing great John Conteh are all made MBE. There is a damehood for Helena Morrissey, who founded the 30% Club with the aim of achieving greater female representation on UK corporate boards. And one of the most senior women involved in the UK's railways - Alison Munro, the managing director of the HS2 high-speed rail project - is made a CBE. The founder of Iceland supermarkets, Malcolm Walker, is knighted; brothers Brian and Alan Stannah, of Stannah Stairlifts, are made MBEs, and Marks & Spencer style director Belinda Earl becomes an OBE. Britain's last Dambuster, retired squadron leader George "Johnny" Johnson, 95, receives an MBE for services to World War Two remembrance and the community in Bristol. The subject of a petition calling for him to be honoured, Mr Johnson said: "I'm the lucky one. I'm still alive. I'm representing the squadron and it is the squadron that is being honoured with this, not me." Jonathan Phipps, chairman of D-Day Revisited, which organises trips for veterans also becomes an MBE. A British Empire Medal goes to school crossing patrol warden Effie Walker, who started her job when Colgrain Primary, in Helensburgh, Argyll and Bute, opened in 1973. The Pearly Queen of Old Kent Road, Doreen Golding, is given the BEM for services to charity and the Pearly Kings and Queens Society. Neil Hulme, from Worthing, West Sussex, who "almost single-handedly" saved the Duke of Burgundy butterfly from local extinction, also receives the BEM. "I'm absolutely delighted, but the conservation of butterflies is always a team effort, so it is equally a recognition of my colleagues, and particularly the volunteers," he said. The Cabinet Office said the prime minister had provided a "strategic steer" to the honours committee that the system should "support children and young people to achieve their potential, enhance life opportunities, remove barriers to success and work to tackle discrimination". The CBEs for Aisha Gill, of Roehampton University, for tackling forced marriage, "honour" crimes and violence against women, Gilian McNeil, of charity Theirworld, for the health and education of vulnerable children and women, and NSPCC chairman Mark Wood ,were said to be examples "that reflect these priorities".